The Mayo Clinic Sports Medicine Center has been around for a while (nearly 25 years), but it's been getting a lot more attention in the last year or so. 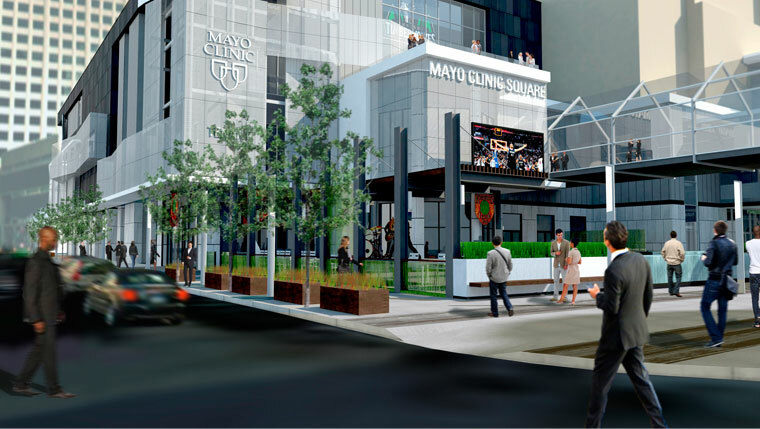 Sports Medicine at Mayo Clinic has made headlines of late with the announcement of the downtown Minneapolis Mayo Clinic Sports Medicine Center and Minnesota Timberwolves/Lynx partnership, along with the Dan Abraham Healthy Living Center expansion in Rochester. A recent article on the MinnPost website opines about why Mayo is starting to make bold moves in marketing sports medicine. And, while observing that Mayo Clinic is already more popular than Spam, the article suggests the moves are good for Mayo Clinic and its sports medicine presence. MinnPost talked to Ken Ungar, president of U/S Sports Advisors, a sports marketing agency, about the Timberwolves/Lynx deal. "It's a great strategy for Mayo," Ungar says. "Health care was a competitive marketplace last year. Now it's cut-throat. A lot of funding sources have dried up, and everybody is trying hard to attract consumers. It really puts the pressure on marketing. For Mayo, it's just smart. It's one more place where you can differentiate yourself." And it's not just basketball where Mayo is getting attention. Mayo Clinic Sports Medicine Center is known for its work in hockey safety and concussion treatment, led by Michael Stuart, M.D., co-director of the center, who is also chief medical officer for USA Hockey and team physician for the men's Olympic hockey team. (That was Dr. Stuart behind the bench during the bronze medal game in Sochi, examining Zach Parise's left thumb.) Mayo even skated out a video that celebrates the center's expertise and passion for the sport for 2014 Hockey Day in Minnesota. The Sports Medicine Center also has specialized programs for baseball/softball, running and golf. "We want to apply the same strategy we use for the conditioning, training and rehabilitation of the elite athlete to make a difference in everybody," says Edward Laskowski, M.D., co-director of the center. Is this just the start? "We're always looking for opportunities to bring our Mayo model of care to more people," Dr. Laskowski says. "We don't know exactly where that will take us, but I think we're always looking for those opportunities." Check out the Sports Medicine Center hockey video below, and then share your comments.